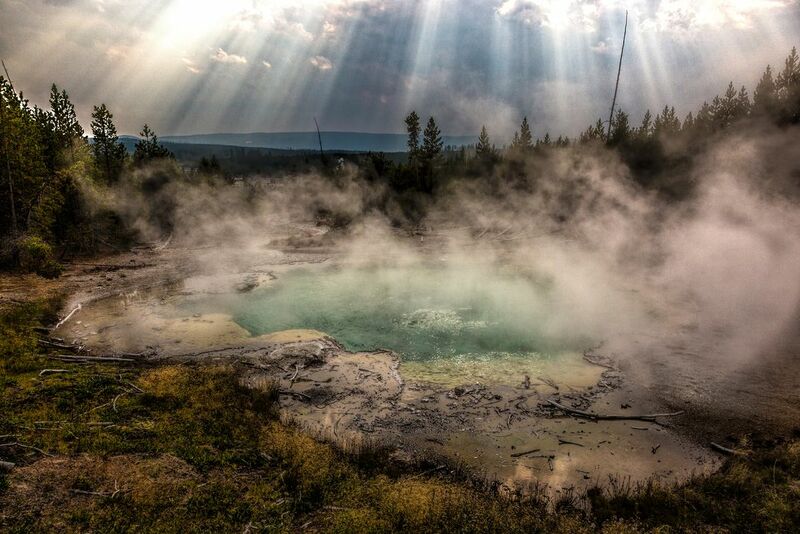 This was taken at the Emerald spring in the Norris Geyser Basin in Yellowstone Natioanl Park. It was nice overcast day, great day for a walk around the boardwalk. I saw the sun peaking through the clouds so I grabbed my camera and tried to see if the light rays would intensify. Slowly they did and it created a great background. The spring gave off an erie mist and the sun beams helped to light up parts of the mist creating a very mystical look which I liked. It was a very enjoyable shoot. Date Uploaded: Sept. 9, 2015, 1:46 p.m.